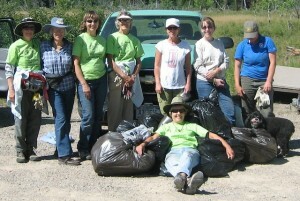 The Weed Wranglers, Weed Committee members and our North Fork neighbors have begun our third season of activities. We will be “pulling together” to learn more about weed identification, how to deal with your weeds safely and effectively. In March of 2015 Flathead National Forest, CHS, and others sponsored workshops focusing on weed identification, plant physiology, non-chemical control options, understanding chemical labels, calibrating equipment, weed law and safety. Richard Hildner and Suzanne Daniel attended and picked up some very helpful materials indeed. Get Help Managing your Weeds – This page provides contact information for local resources that can help. Weed Management Vocabulary – Before reading through the rest of the brochures, it’s good to have the vocabulary down. Noxious Weed Management Tips – Once you have the vocabulary, this brochure provides a great overview for the small landowner. Hawkweed Identification – A comprehensive brochure to help identify hawkweed on your property. New Weed Invaders of Montana – It’s not only the old noxious weeds that we need to worry about. Pesticide Fact Sheet – Reading a Pesticide Label – The label on a pesticide container can be intimidating. Here is some help demystifying it. Calibrating Application Equipment – There is a lot of good information about applying herbicides. One of the first things that you have to do is calibrate the equipment so that you know how much herbicide to apply. Although this brochure says pesticides, the process for calibrating for herbicides is the same. Check it out. Invasive Plant Management with Milestone and Other Herbicides – This has lots of details about the application of specific herbicides. It’s easier to read than the small print that comes with the brochures on the herbicide containers (although you need to read those as well). Herbicide Carryover – This brochure explains why you need to be careful so that you don’t end up contaminating non target plants, animals, water supplies, etc. Preventing and Managing Herbicide-Resistant Weeds in Montana – Something to think about. Mowing to Manage Noxious Weeds – This brochure begins… Few studies have been conducted on the effects of mowing plmll communities and noxious weeds, and virtually no long-ICon swdics have been conducted on roogeland. However, the ecological basis of mowing 10 manage noxious weeds and to favor desired plants is conclusive. The Montana Private Applicator Program – Some herbicides can only be applied if you have a certification from this program. So you’re walking along a trail or floating the river and see noxious weeds on US Forest Service land. What do you do? 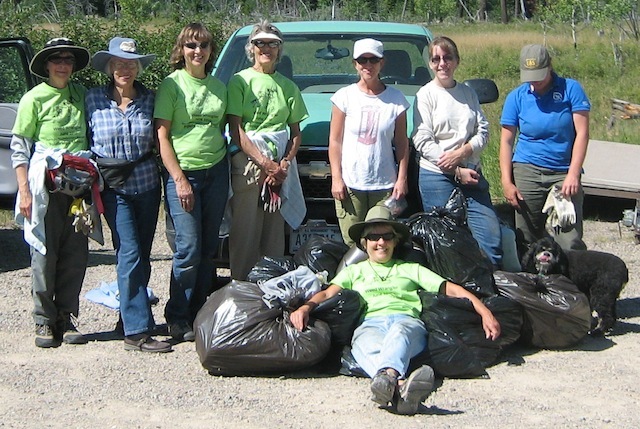 Call Tris Hoffman of the USFS at 406-758-3510. Be prepared to tell her what kind of a weed, how much is there, and the location. If Tris is unavailable when you call, you can leave a message for her. It would also be a great help if you could let Tris know a phone number and/or email address so that she can get back to you if she has any questions. Click here for all the latest news from the Weeds Committee.